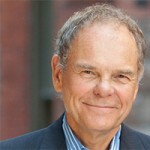 LONDON – The Canadian thinker Don Tapscott has won the Thinkers50 Global Solutions Award for 2013. The result was announced at a glittering awards ceremony at Drapers’ Hall, London. Don has also been ranked #4 on the Thinkers50 biennial list of the world’s outstanding management thinkers. Please see the complete press release for further information about Thinkers50, their ranking of management thinkers and the Distinguished Achievement Awards.